Hey Lovelies! Are you looking to rejuvenate this year? 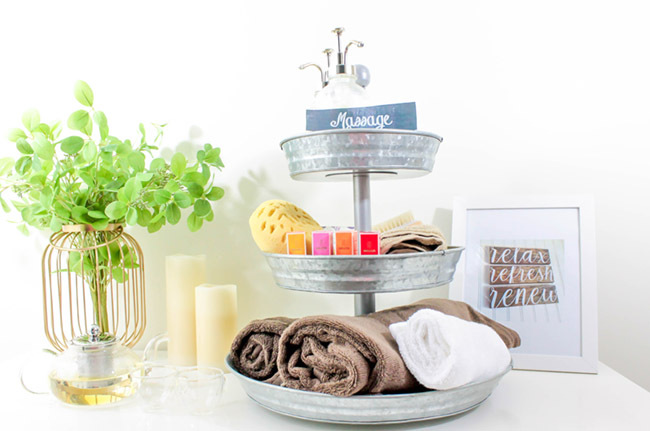 With all of the stress that is happening this year, it’s time to relax with a little home spa and a little tea time too. This year should be all about you, giving yourself 100% of your time. That is why this spa day tea party is perfect. 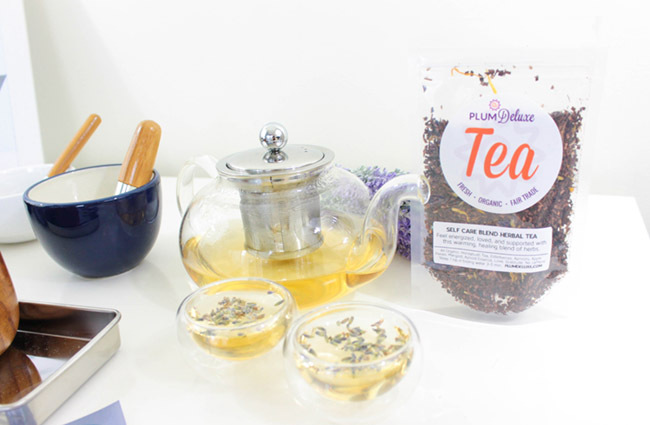 We have teamed up with Plum Deluxe Tea to show exactly how to treat yourself to the best day possible. Grab yourself and your girls and we will show you how to unwind, relax and renew. Prepare yourself for a delightful, emotional self care day all about you! This is going to be a whole day of goodness and we can’t wait to show you all of this loveliness. 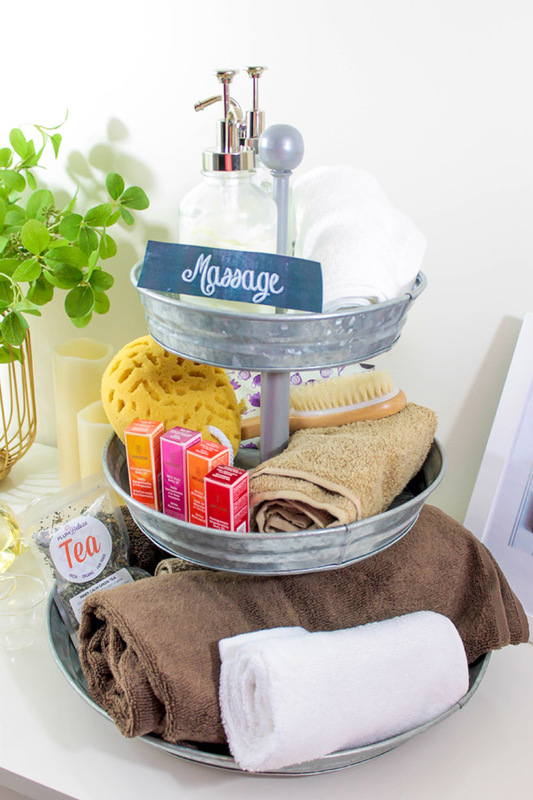 The best days start out with a nice massage, and this is the perfect massage station. There are so many ways you can give yourself a massage. 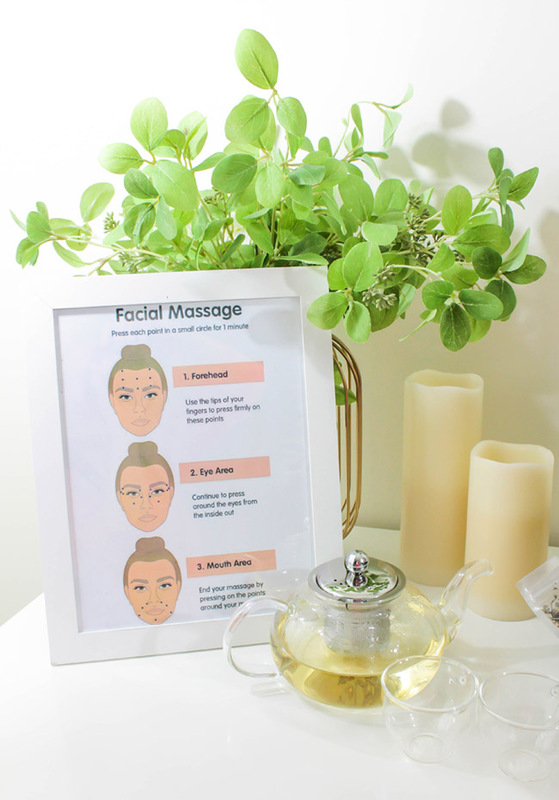 We love the idea of a idea of a facial massage. With the right essential oils and massage oils, plus just the right motions, facial massages are just the thing to release tension. Back and shoulder massages are a great way to relax and renew too. 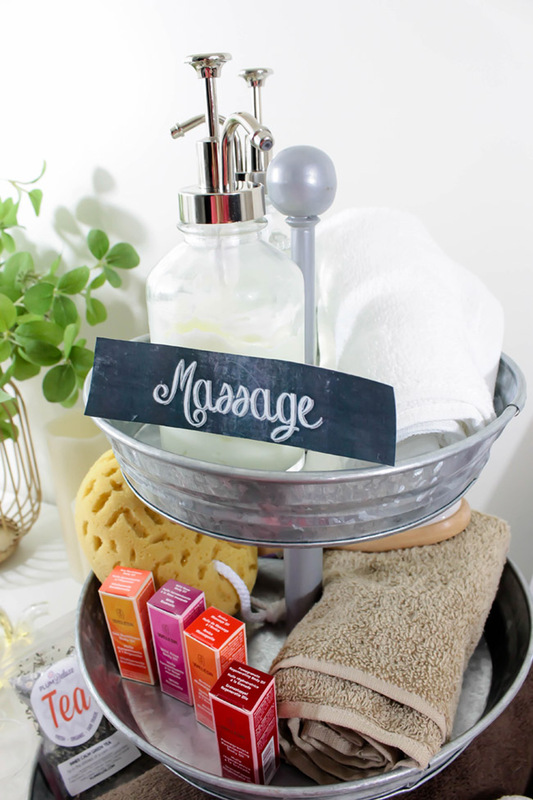 Make sure to have an ample stock of lotions, towels, dry brushes and scrub brushes to fully prepare for you massage station. 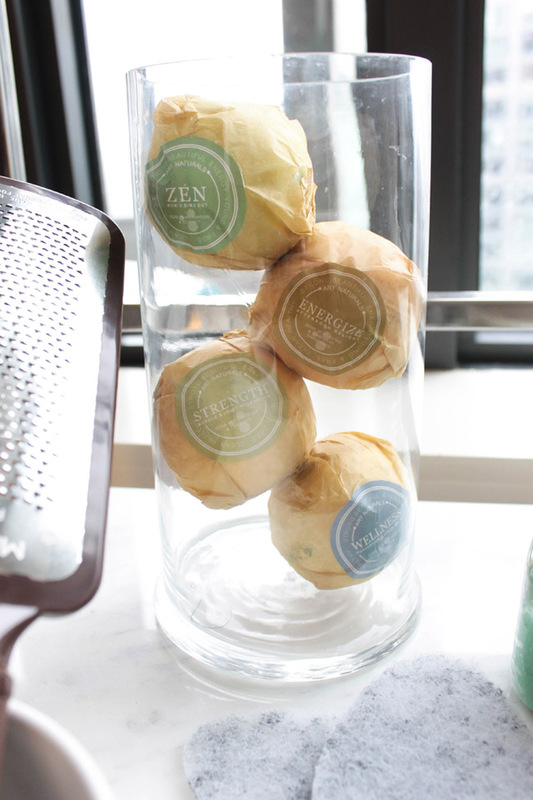 To complement your massage, start your day off with an inner calm green tea. It’s refreshing, calming, renewing and the perfect sip. 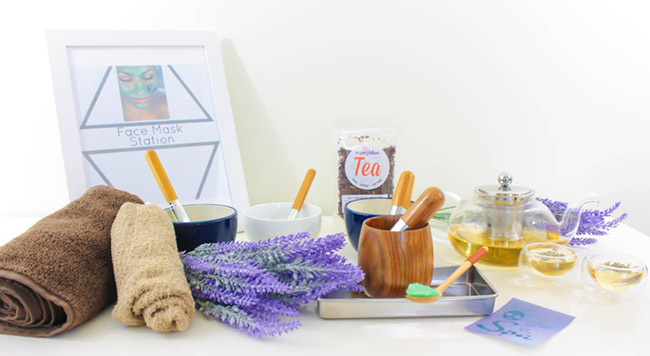 The next station on your self care spa day is a face mask station. 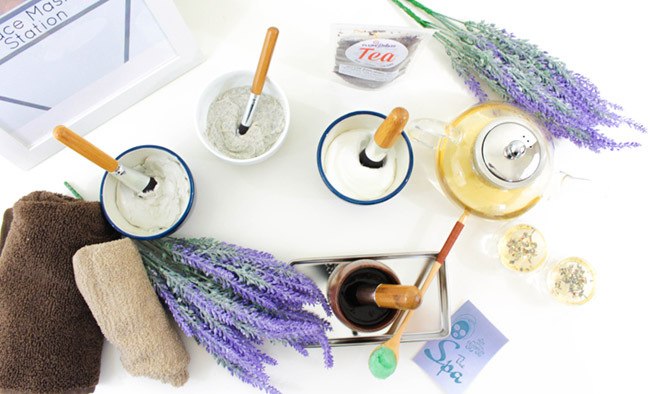 Pamper yourself, while giving yourself great skin with these different face masks. These masks are so great, they will feel like a makeover for your whole body and soul. Talk about renewing! 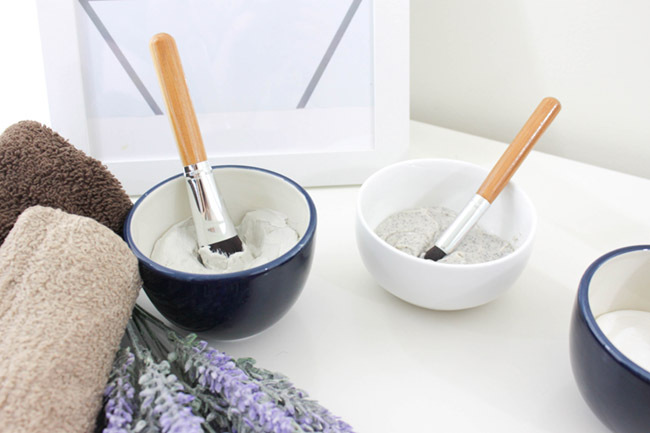 Stock your face mask station with cleaners, pore scrubs, mud masks and hydrating masks. 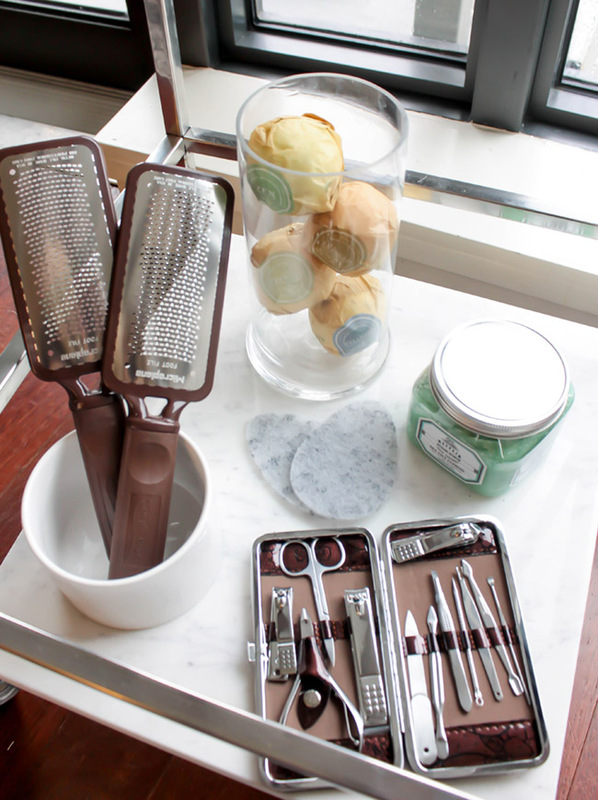 Use soft brushes to really bring your pampering level to the next level. Salt scrubs can really be the finishing touch to getting that silky soft skin. 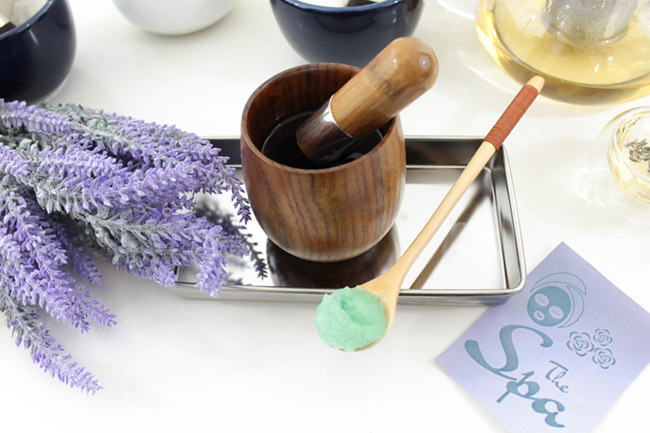 Add in lavender to give your that rejuvenating scent during your self card face mask pampering. 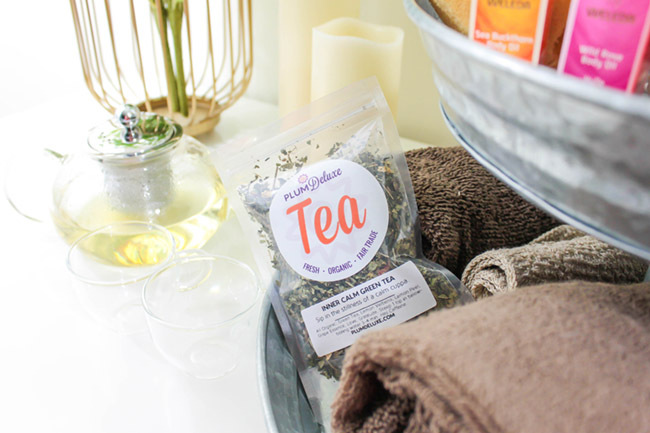 To complement your rejuvenating face mask, sip on some Plum Deluxe self care herbal tea. Feel cared for and looked after with this the healing blend of this herbal tea. 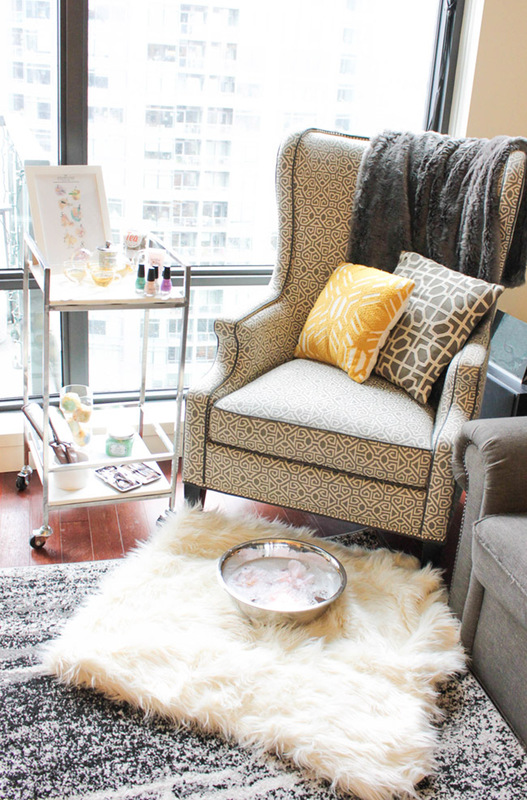 No spa day is complete without a mani and pedi. The perfect pampering of your fingers and toes is a good manicure and pedicure. 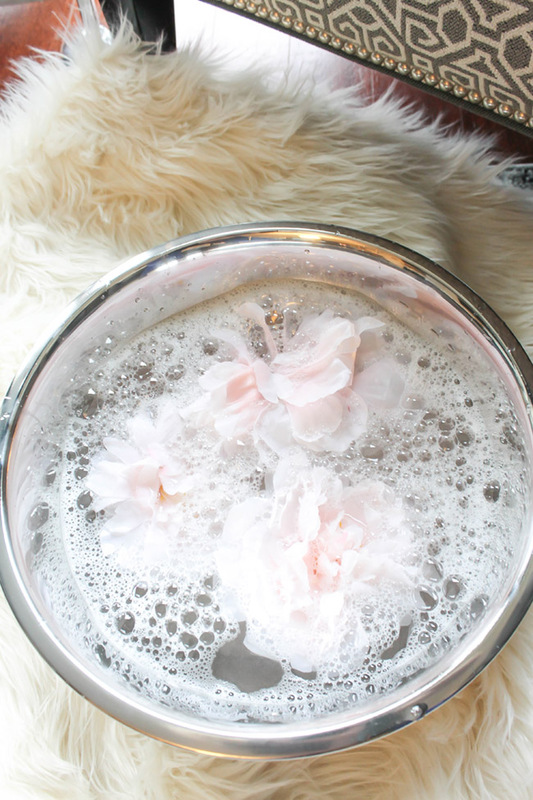 Soak your feet in some bubbly warm water and top it off flower petals to really give you that indulgence. 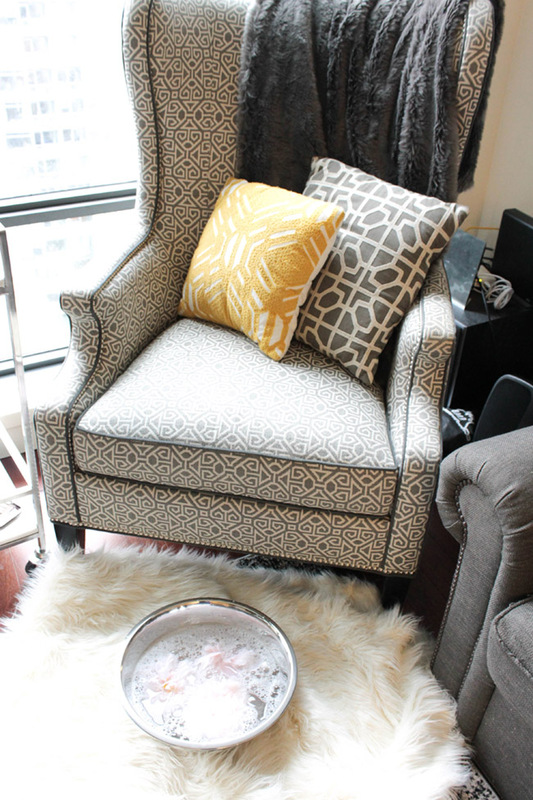 You can really pull this off with a big bowl and a comfy chair, all in your own home. Use earthy tones for your nail polish, to really give you that relaxing feeling during your station. 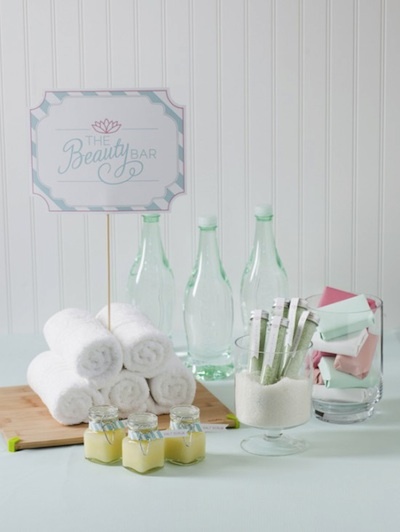 Stock your madi, pedi station with all the goodies like a nail set, bath bombs and micro foot files. 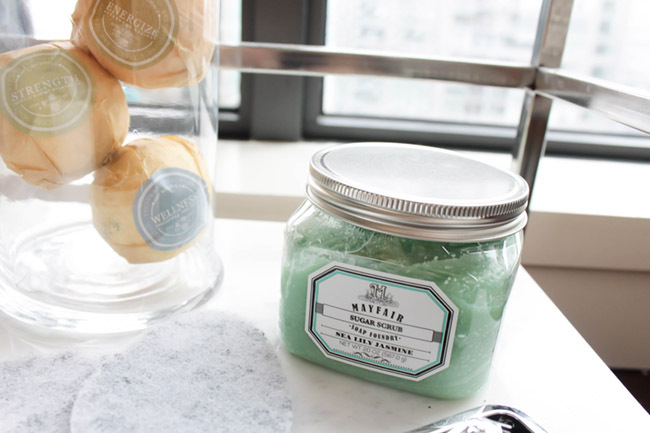 All the things you need to make your skin feel silky, smooth soft. These bath bombs are scented to really get your wellness on the right track. 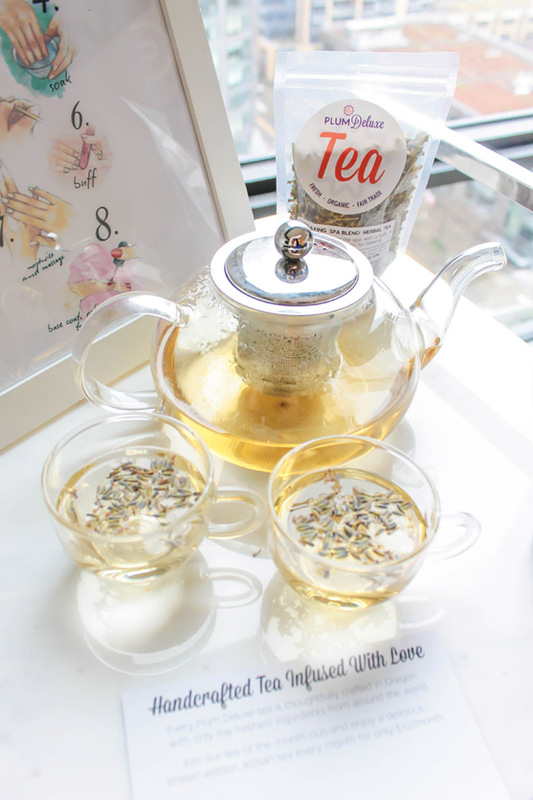 The perfect complement to your mani/pedi, station is this lovely spa blend herbal tea. It is the perfect blend for dealing with stressful moments. Rest and relaxation have never felt so good. 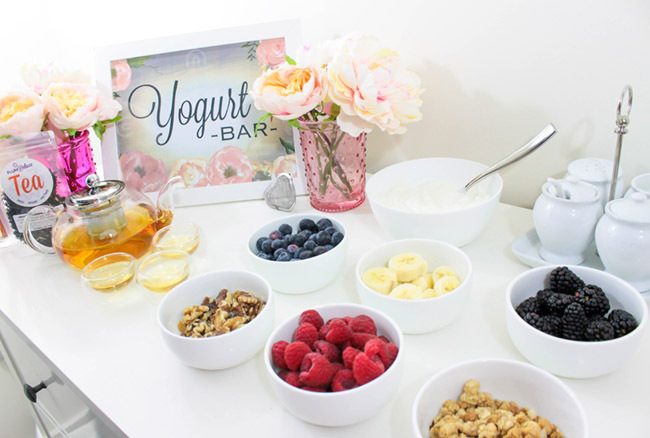 Finishing off your self care home spa tea party with a yogurt bar. 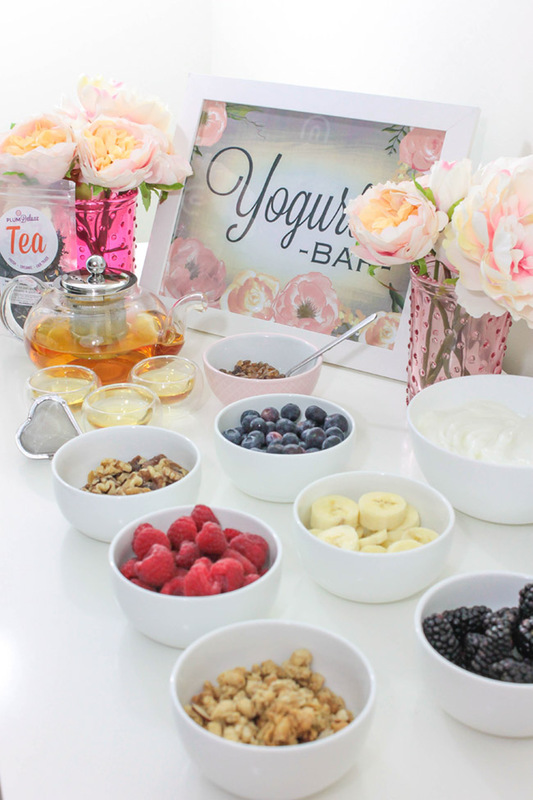 Filled with probiotics, yogurt is the perfect good for you snack to end your self care home spa tea party. 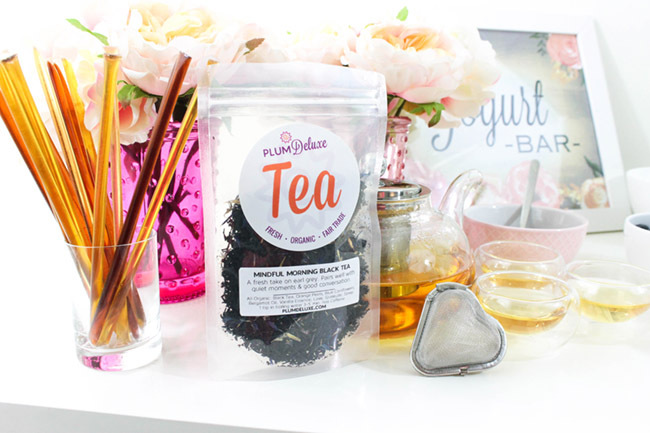 The perfect pairing to your yogurt bar is Plum Deluxe’s wonderful mindful morning black tea. It’s wonderful to sip on during quite moments, and takes you into a perfect hug in your mug. 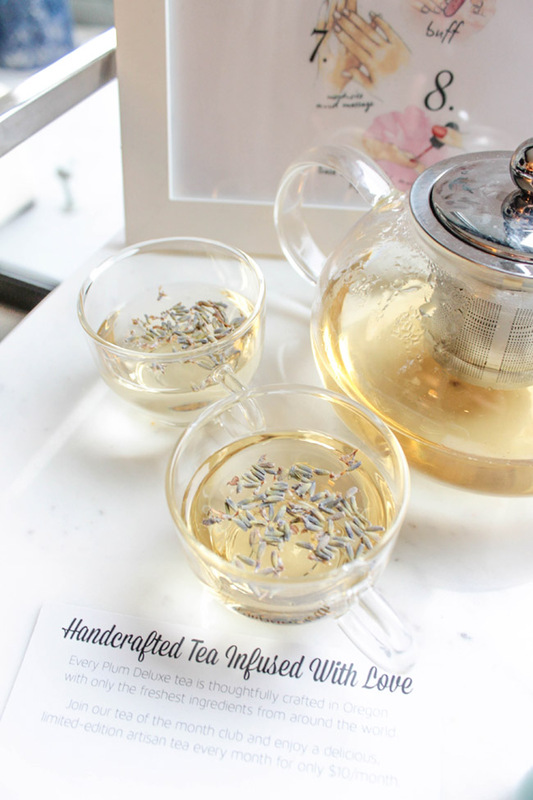 Their heart tea infuser just brings that extra loveliness to your cup of tea. 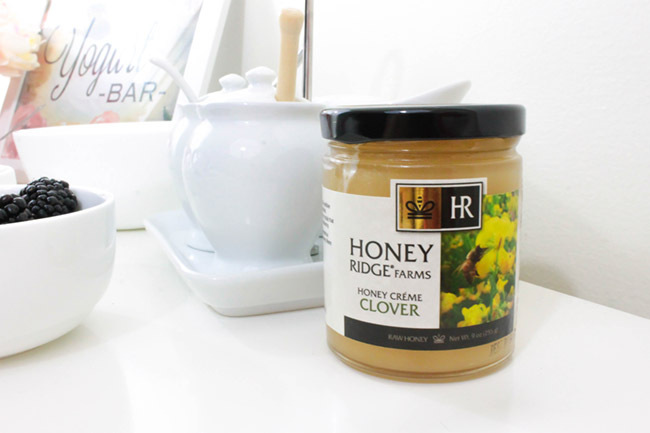 Use their honey sticks as the perfect flavor enhancing sweetness to finish off your cup. 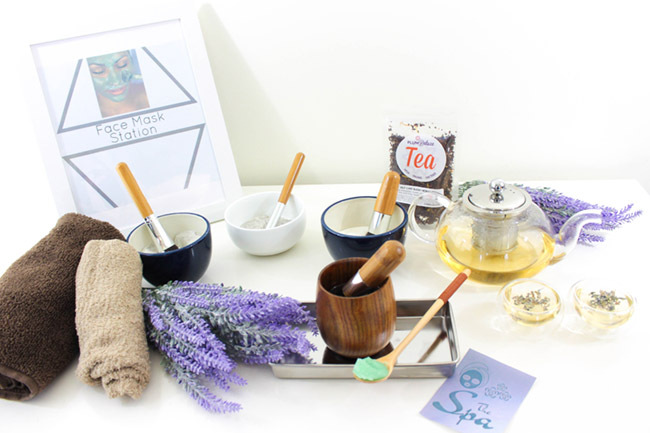 With all of those 4 stations, you truly will send yourself into a delightful self care event. 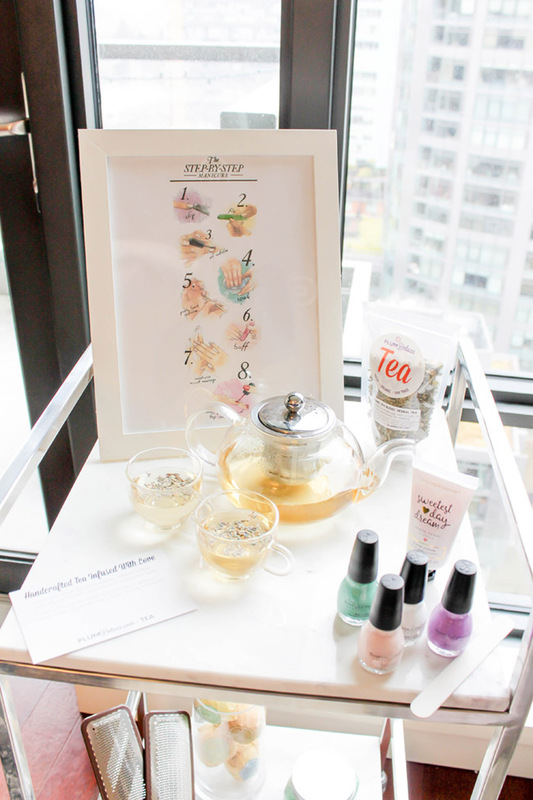 We truly do love everything about this spa day tea party and can’t wait to indulge ourselves in a perfect little spa day. It is a great way to make moments matter with not just yourself, but you and your friends. We all could use a little relaxing right about now! This post was sponsored on behalf of Plum Deluxe Tea. All opinions stated are my own. Thank you for supporting the sponsors that enable us to keep the lovely ideas and inspirations coming to you! Spaaaahhhh Inspiration Of The Day- Mardi Gras Centerpieces! 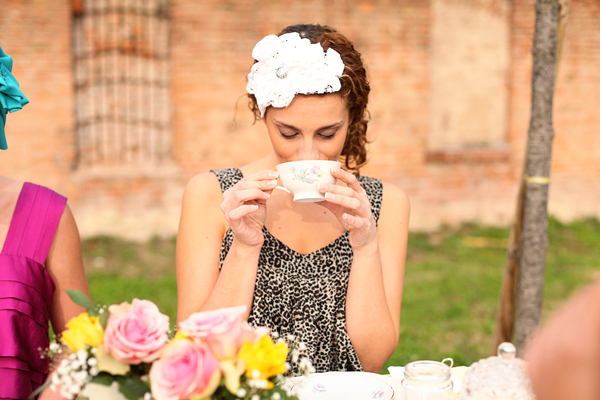 Mother’s Day Tea Party! Tea Please!